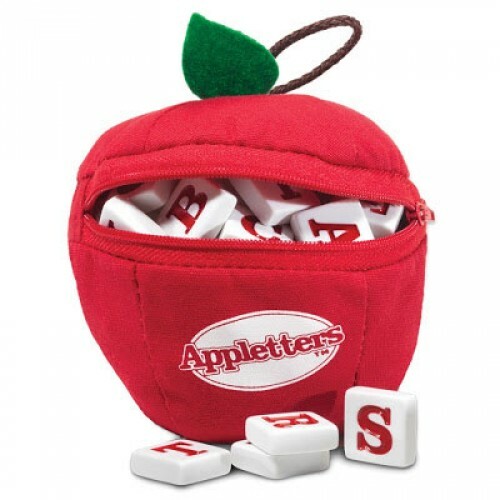 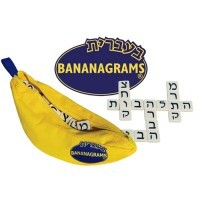 Take your turn to build a 'word worm' playing this fun educational Appletters game by Bananagrams. 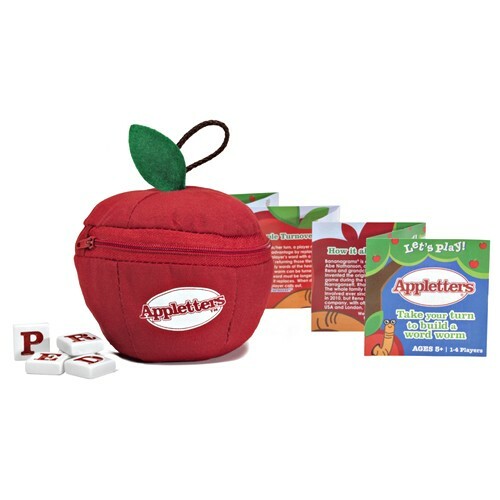 Clear the table, unzip the apple and prepare for a great family evening! 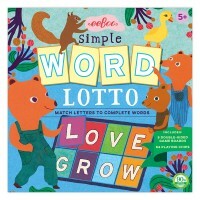 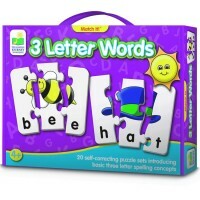 Appletters Kids Word Game is the addictive game for early readers where players work together to build a 'word worm' by adding words to the head or tail. 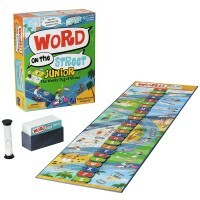 Unexpected twists and turns can happen, so stay on your toes! 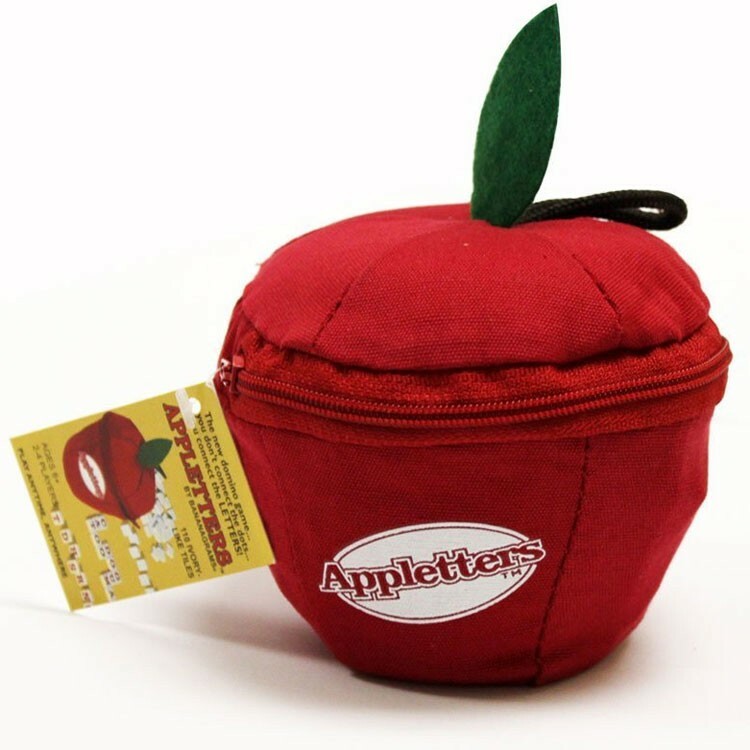 If you forget the rules, you might get called a 'Rotten Apple!' 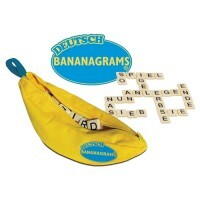 The first player to use all of their tiles wins. 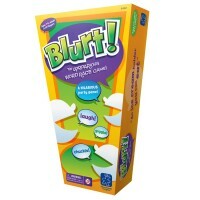 If youre hungry for more fun, you can take a bite out of the three extra challenge games. 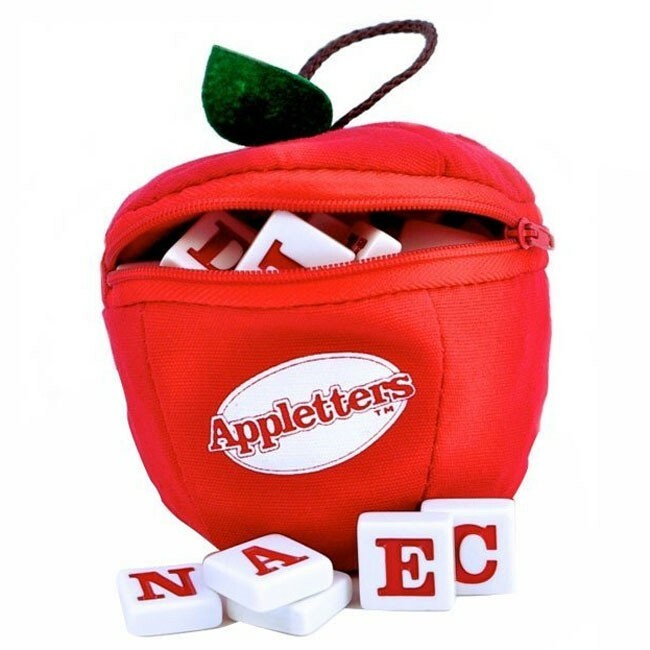 Parents and educators agree Appletters helps to develop spelling skills, enhance strategic thinking, encourage cooperation, promote turn-taking, and improve concentration. 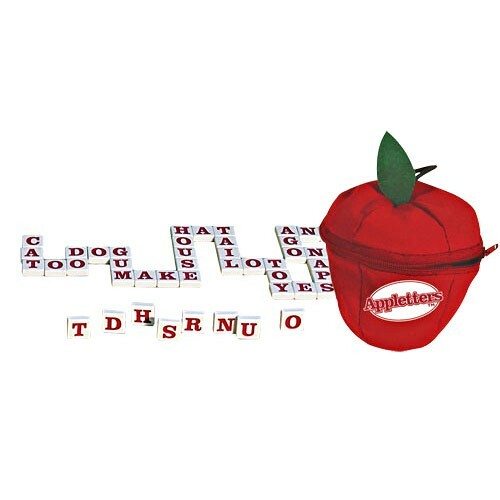 Make Appletters Kids Word Game the core of your game night fun! 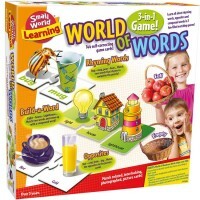 This language development game from Educational Toys Planet is designed for 1-4 players. 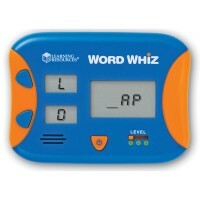 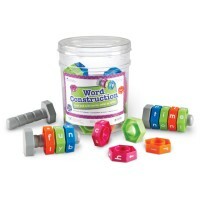 Dimensions of package 3.75" x 3.75" x 3.5"
Write your own review of Appletters Kids Word Game.